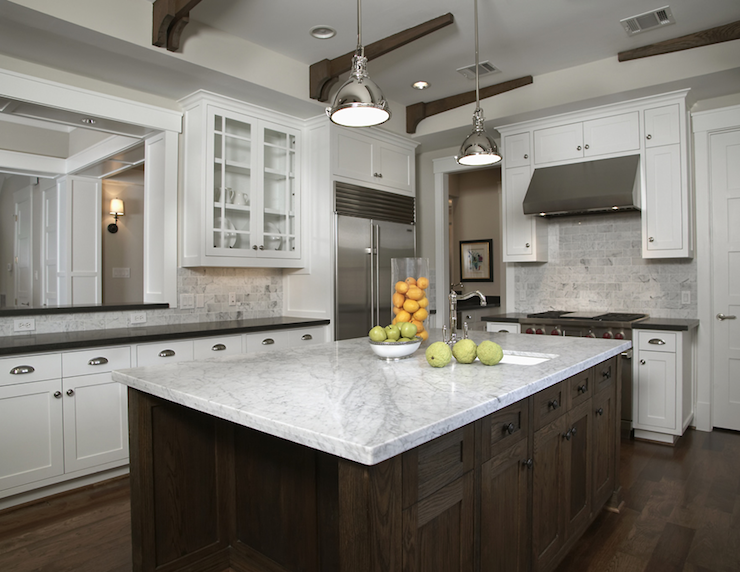 The Granite Gurus: Whiteout Wednesday: Five White Kitchens---with Soapstone! Whiteout Wednesday: Five White Kitchens---with Soapstone! Soapstone is a gorgeous and perfect accent in white kitchens. 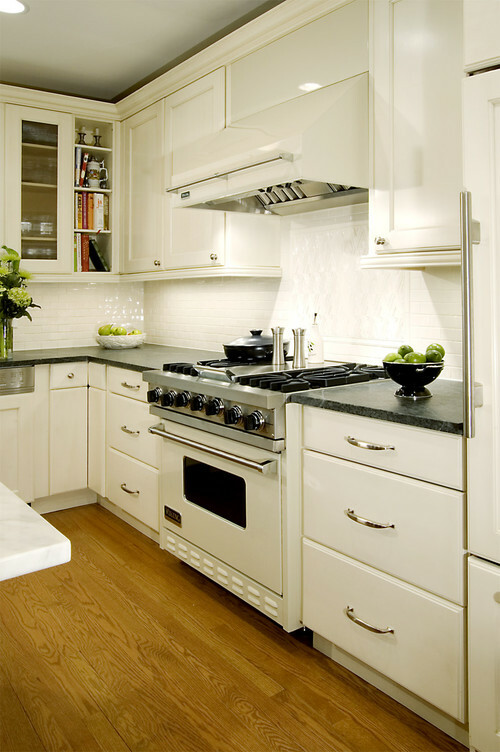 The soft grey and soft texture of Soapstone goes so well with white cabinets and the white marbles, like Carrara. 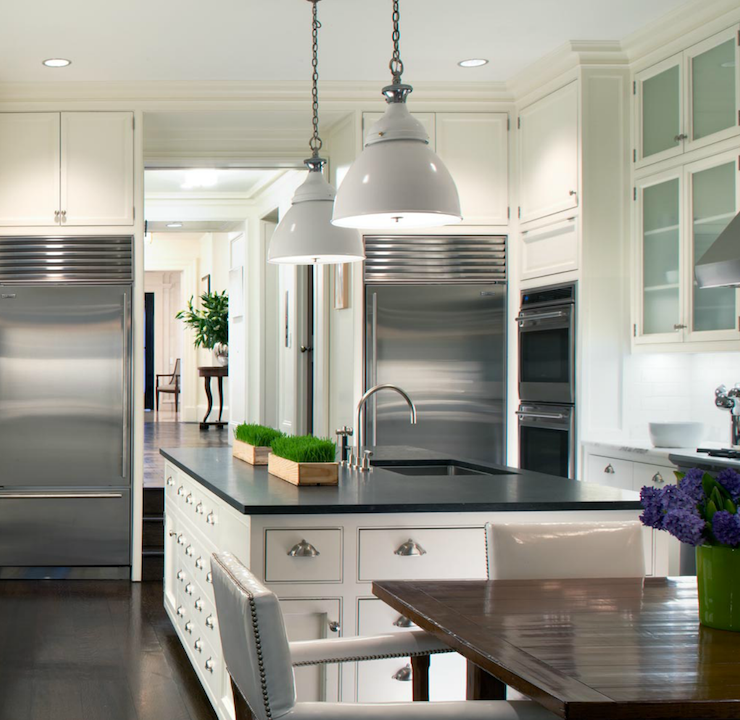 Today I thought I'd show five white kitchens that have Soapstone as either the island or the perimeter countertops. I'm crazy in love with the kitchen below. The Soapstone and light fixtures are perfect and that Walker Zanger tile on the backsplash is to die for. You can see just a hint of the island in the picture below, but it looks like it's a white marble. hey there! I'm going to become a regular commenter - this blog is so great! i love that first kitchen, too. especially the backsplash. grey/white is my dream house color scheme. I'm done with all the browns.